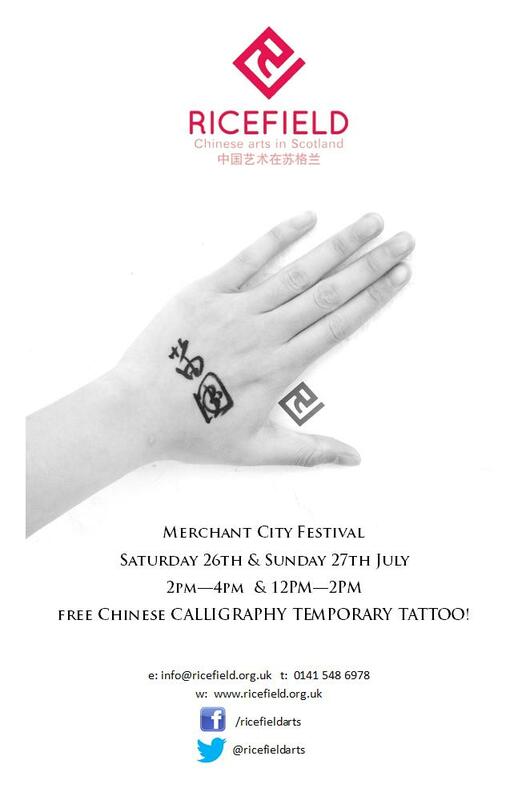 Many thanks to everyone who attended and supported Ricefield’s Little China Pop Up Stall at the Merchant City Festival. 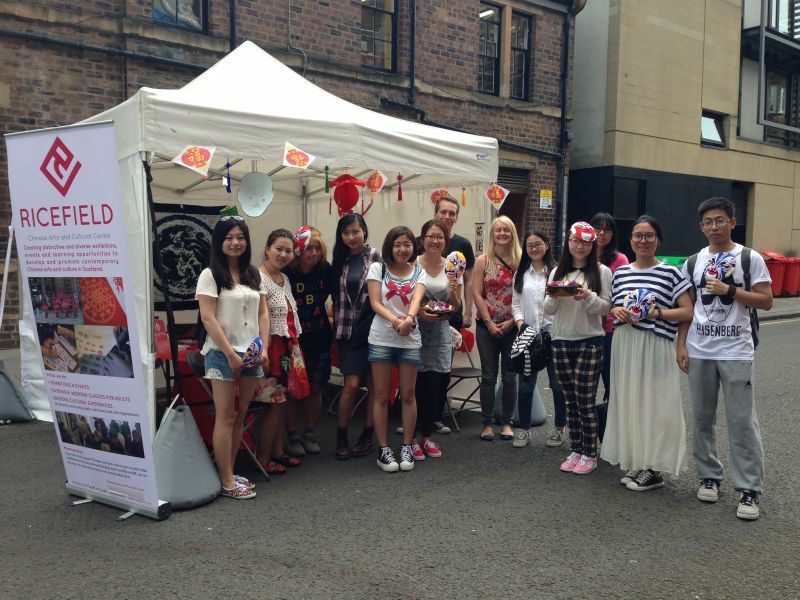 It was a great and very busy weekend thanks to our volunteers. Check out the photos on our Facebook page! 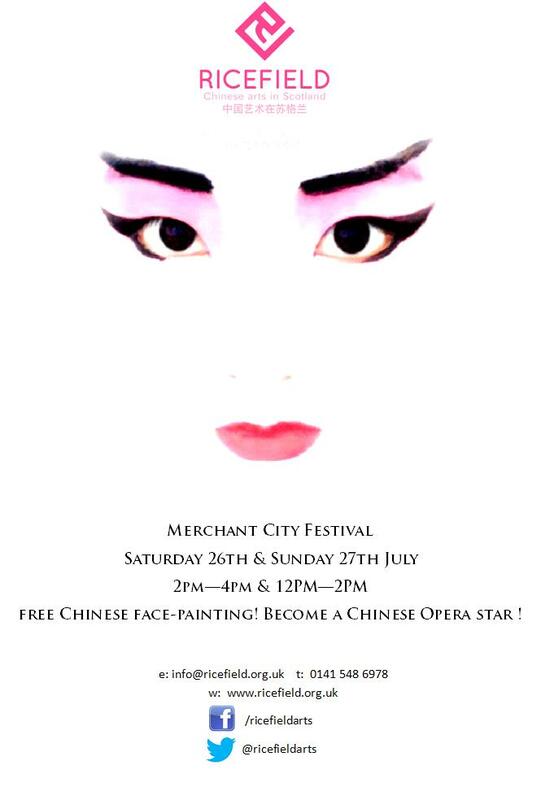 Ricefield is excited to announce that it will be involved in the Merchant City Festival this year offering free Chinese opera style face-painting and Chinese calligraphy temporary tattoos – come along for a unique experience that is fun for all the family!